Fits Devices up to 5.5 x 1.75"
The Universal X-Grip Cradle from RAM MOUNTS is designed to effectively hold large phones or phablets up to 5.5" in height. 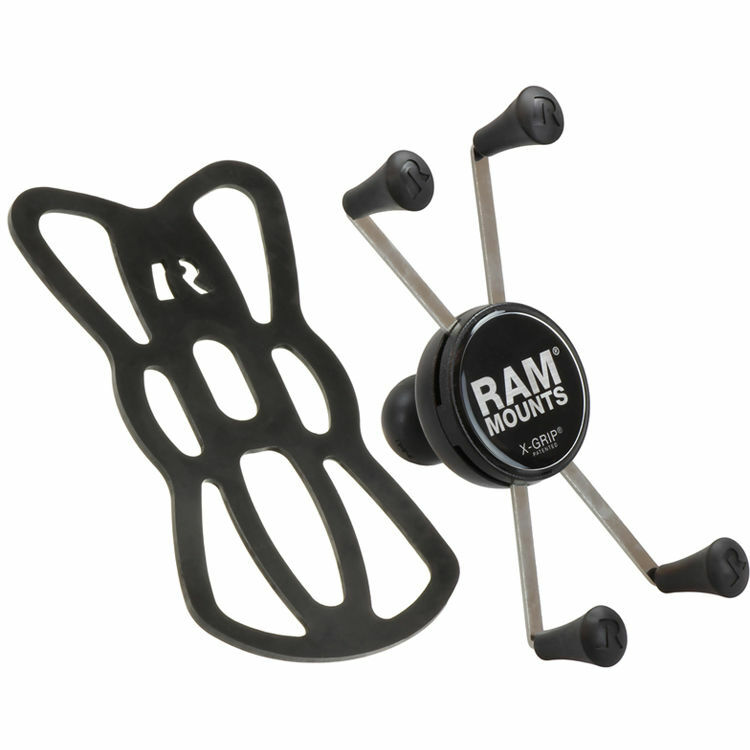 The X-Grip connects to a wide range of RAM mounting products, allowing you to choose the mount that's best for your vehicle and you. To secure your phone, the X-Grip utilizes a four-leg design that locks your device into place without obscuring the screen or reducing functionality. A device tether is included. Universal X-Grip Large Phone/Phablet Cradle is rated 5.0 out of 5 by 1. Rated 5 out of 5 by W.Morland from Perfect way to hold cell phone RAM X Grip ball mount works great. Multiple ways to orientate for your personal liking. Stable and secure. B&H great company with pricing and delivery.